His club career was mired in inconsistency and a lack of commitment. In Egypt’s jersey though we always saw him at his busy and brilliant best. He would end the career of Rigobert Song by harrying an error out of him in the same fixture in the final, with his passing finding a free Aboutrika who duly slotted the winner. Cameroon had been warned. 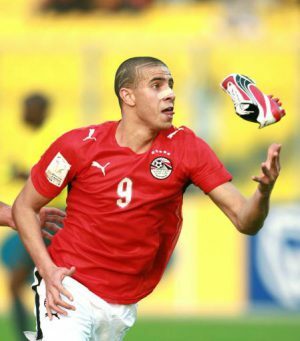 In the group stages he tore Cameroon to shreds in this game with a brace in Egypt thrashed the Indomitable Lions 4-1, and this goal typified the explosiveness to Zidan’s game.